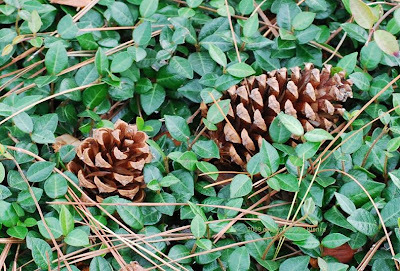 I remember collecting pine cones when I was a kid. Not sure why I did it, I just remember doing it. These are just off the sidewalk up the street from my house. Terrell ISD has posted Tiger football playoff information on their website. The Tigers will be the home team. Stadium address: 1400 South 14th Street, Midlothian, TX. More stadium info from the Midlothian ISD website. Check Cliffs site and the Tribune later this week for I am sure more information. Be sure to join the Terrell Daily Photo Facebook page. You can find photos that may not have been posted here. Week 9 NFL picks 8-5, record for the year is 84-45. My fantasy football team won, moving my record up to 5-4.